Thank you jwight. I hate it when people say "Happy Memorial Day".....that's not what it's about. citroen and NCC1701 like this. Then just say "Thanks"... It goes a long way. 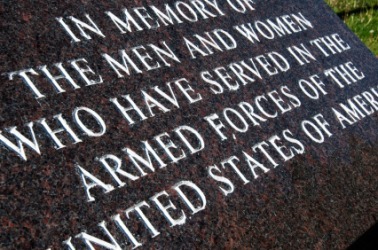 Another Memorial Day weekend; take the time to enjoy it and remember those who can't. We celebrate Memorial Day to remember the cost of American freedom. Americans have the wonderful privilege to live in a country that provides its citizens with freedom. Freedom of expression and religion are just two of the freedoms that the country was built on. The United States Constitution provides Americans with all kinds of freedoms and guarantees citizens numerous rights. There are no other countries in the world in which the citizen’s have so many rights and freedoms guaranteed by the basic foundational documents of the country. Memorial Day is one day each year that is set aside to remember those that have laid down their lives for all the citizens of America. Memorial Day is a holiday designed to honor those who paid the ultimate price to protect and ensure the freedoms that Americans enjoy. Remembering all those who gave everything especially two High School classmates lost in Laos 1961. MILITARY FRIENDS: Are the reason you have no food or alcohol. MILITARY FRIENDS: Would be sitting next to you in jail saying, "Damn...we screwed up...but man, that was fun!" Remembering those who died for not only our Freedom but so that citizens in other countries can also have freedom. Also remembering my Dad who fought in Europe in WWII and my brother who served during the Vietnam war. Thank you to my Niece who has served two deployments in Iraq and will probably be going to Afghanistan this fall. She and all the other Military troops serve now so we can continue to keep our freedom. Last edited by jkjahobbs; 05-27-2012 at 08:57 AM. As a 21+ year veteran what bugs me the most is all the Memorial Day sales, especially the ones that tout this weekend as the start of the summer fun time. Go to Arlington and find gravestones with your loved one's names on them, maybe that will get someone's head on straight. I'll now get off my soapbox.